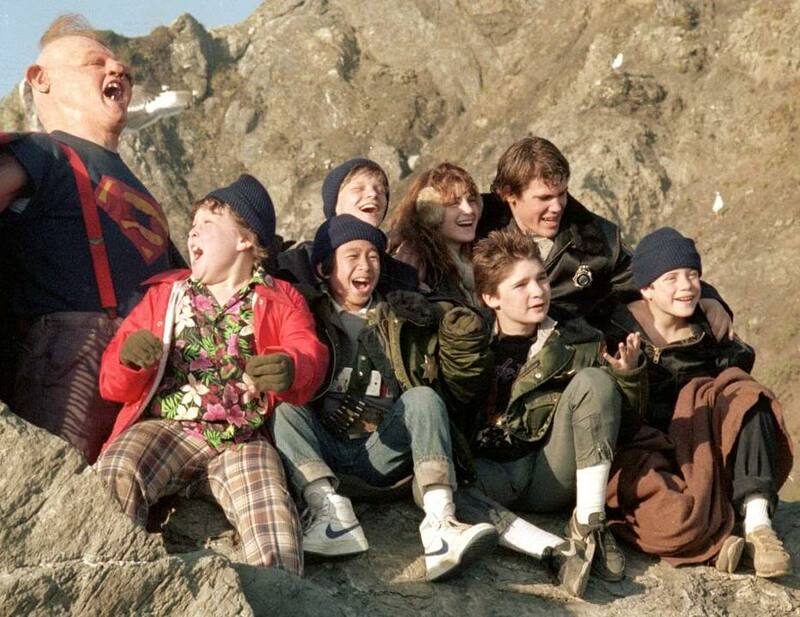 ‘The Goonies’ Sequel Is Finally Happening!! I could begin this with ‘Hey, you guys!’, or ‘Goonies never say die!’ but that has been done. Seriously, if the joke is that easy, everyone is going to come up with it, and who needs another news piece spouting the same tag line? Turns out the paparazzi pick up more than just bad angled pictures. Director Richard Donner was signing autographs near the cameramen and one of them picked up the scoop that Donner’s next film is going to be a sequel to a favorite movie for millions of people – ‘The Goonies‘!! We’ve all been through the rumors that it was in the works and that a script was being or had been written, just to find out that it was making no real progress. What is first on your mind when you hear of a sequel? At least for me, it’s who is going to be in it? When Donner was asked that same question, he responded with “Hopefully all of them”. It’s only taken 29 years to get to this point, but it will be totally worth it if it’s done the right way. Several of the cast members have been keen on the idea for a long time. Corey Feldman has been really vocal about wanting there to be a sequel and Josh Brolin mentioned that a script had been written in 2010. This would be a perfect vehicle to put some of these actors, that need a boost, back into the public eye. Since directing ‘The Goonies‘, Donner has produced hit after hit including all four films in the ‘Lethal Weapon‘ series and the series to film adaptation of ‘Maverick‘. In order for this film to have the same feel of the original, I hope Steven Spielberg and Chris Columbus are going to be back in coming up with the story and writing the script. Now I wonder when Donner said hopefully all of them will be back, are we talking about the Fratelli’s too? When ‘The Goonies‘ finished filming, the pirate ship they used, which was entirely real, was offered to anyone that wanted it, no one stepped forward and the ship was scrapped. Sean Astin was allowed to keep the treasure map they used. Years later, his mother found it and thinking it was just a crinkled piece of paper, threw it away. Another bit of interesting trivia is that Ma Fratelli and her boys were based on the Ma Barker gang (they all happen to be buried so close to me I can see the cemetery from my bedroom window). Pretty awesome, right? Richard Donner and Steven Spielberg Are Prepping A ‘Goonies’ Sequel!!! This entry was posted on Sunday, April 6th, 2014 at 11:32 pm	and is filed under Film, News. You can follow any responses to this entry through the RSS 2.0 feed. You can skip to the end and leave a response. Pinging is currently not allowed. « Bryan Cranston To Pen Memoir on his time with ‘Breaking Bad’!!! He was *the* guerilla terrorist in the food service industry. Do not watch. I cannot go when you watch. [snickers] Go ahead. Tell 'em.